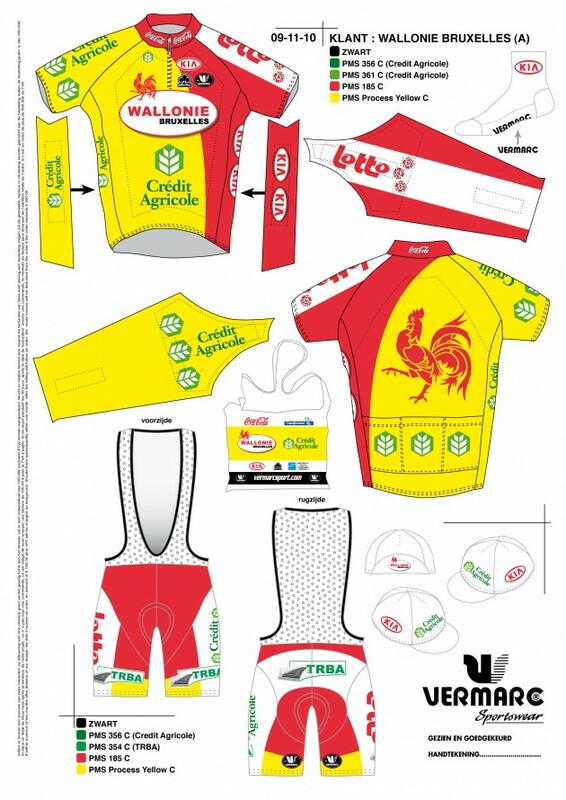 This entry was posted in Featured, Musette, Teams and tagged 2011, first look, kit, teams, wallonie-bruxelles. Bookmark the permalink. It looks good. Not too common of a color scheme, which means that when I'm squinting at a video on my computer monitor, they'll stand out. Unlike RadioShack, BMC, and Caisse d'Epargne, whose common red/black scheme makes them all look like each other. Vraiment horrible! Comment est-il possible de faire encore des maillots aussi affreux en l'an 2010? Le team Wallonie-Bruxelles n'a-t-il jamais entendu parler du métier de graphiste? Looks like the Spanish national team kit…..